The House of India originally was opened in 1995 as a take-out and grocery store for Bermuda’s expanding Indian population. Three years later owner Ashok Uppal, surprised by the demand for his Indian food, made the decision to close the grocery and focus his efforts on the cuisine. Additional footage was rented and the restaurant was born. Today, it’s the only dedicated Indian restaurant in Bermuda. A recent expansion saw a second dining area added, increasing the total capacity to 80 and allowing the restaurant to cater to private parties. A full bar was also opened. Ashok visits India twice a year and on each trip brings back interesting ornaments, carvings, and paintings to decorate the interior. Soft lighting and Indian music add to the authentic atmosphere. Despite the lack of competition, the House of India is reasonably priced. Like the sub-continent itself the menu is huge and varied and there’s something to suit all palates and dietary needs (many dishes are vegetarian, dairy or gluten free). All dishes can be modified to the customer’s exact specifications. Appetisers include classic Indian dishes like Onion Bhajjis, Samosas, Chicken Tikka, Shrimp Pakora, and Pappadoms. There’s a massive choice of entrees ranging from Tandoor delights to Balti and Biryani dishes. If your curry was little bit too hot cool down with a Lassi (Indian yoghurt). Indian beer is also available and achieves a similar effect. Although it’s not quite a Himalayan trek, the House of India is located on the northern tip of Hamilton and a taxi is recommended. Your waiter will be more than happy to arrange a cab home. The restaurant is open every day of the week. Lunch is served Monday to Friday from 11.30 am to 2.30 pm. A fixed-price lunch buffet is offered. Dinner is offered daily between 5.30 pm and 10 pm. A take-out service is also available. Map showing location of House of India. The location isn’t stunning (in fact it is quite the opposite) but the food ranks amongst the best I’ve ever eaten. Prices were good and the service fast. Well, after reading so much about this restaurant, we decided to take a cruise to Bermuda to check it out. Taking Norwegian Dawn on June 6th 2014 and check the House of India ourselves. Hope the hype is worth the trip. Wow. Never heard of anybody taking a cruise just to try a restaurant. Well I hope it meets your expectations too. I’m sure you’ll be doing lots of other things while you are in Bermuda too. I’m from Manchester in England and we have some great Indian restaurants in our city. In particular, our ‘Curry Mile’ is known throughout the UK and indeed the world for serving the finest cuisine. The House of India is right up there with the best we have to offer. Bermuda is right to be proud of this restaurant. Sniff… sniff… I miss HOI’s chicken tikka masala!!! Never found anything close to it. Just got back from our latest trip to Bermuda. One evening, the hosts at the B&B where we were staying invited us to join them at the House of India for dinner. All I can say is “WOW!” Probably the best Indian food I’ve ever had! 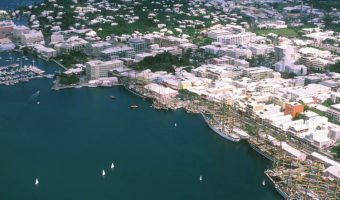 We will be back to Bermuda again, and we will have more dinners made. The fish tikka masala made with local wahoo was stellar! HOI is without a doubt the best Indian I have had in the western hemisphere (that includes London, New York, LA, etc). I agree that the food is great and reasonably priced. Since they have expanded the eating area. However, they are obviously trying to recoup their expenditure with the cost of drinks. A bottle of wine will set you back anything from $42 to $70. A beer will set you back the ridiculous price of $8 (plus gratuities puts it to $9.20). Price gouging and greedy. They’ve just lost a customer. Just to inform you that the $8 beer you are mentioning is a specialty Indian beer that is specially imported for HOI. The regular beers are the usual price you will pay anywhere. Unfortunately we live on an island. Get a life and splurge a little – an $8 beer for import from India is reasonable – or order table water you loser! All I can say is the House of India Chicken Tikka Marsala IS THE BEST IN THE WORLD ! And we miss it! We lived in Bermuda for 15 years and were VERY frequent visitors to the H of I. Now, you would think coming back to the UK we would find at least something as good, NOPE !. For the last few years I have been trying to create the H of I Chicken Tikka Marsala taste at home. I’m close, but not there yet and probably never will be. Well all I can say is if you visit Bermuda try the H of I Chicken Tikka Marsala (and for lunch a Hickory Stick Tuna and chopped Egg with Lettuce, Tomato and Onion,Mayo with a pinch of black pepper on a whole heat Bun). Arh the memories. I have to agree the food is amazing. I moved to Vancouver and searched for comparison and could not find. The only problem with the House of India is their location, and the take out area is very unwelcoming! While not in the best part of town, HOI’s location makes sense because its food is as addictive as what its neighbors are selling. Great staff, amazing food, and loads of choices. Go with a big group at dinner to share or go for the great lunch buffet. It’s worth looking for. Make a reservation if going between spring and fall. I really like the Lamb Dansak and Dahl Makni. They also make a mean Naan. Moved to NS Canada, and House of India still makes the best Chicken Tikka Masala. The staff are friendly and you can’t beat a friendly greeting from Gerry. Miss you guys. As a local we enjoy House of India every other week or so for take out, and when we can get away from the kids we LOVE to dine there. Always SUPER service and GREAT food!! My husband and I visit London often, and still think House of India’s Tikka Masala is the best! I love this place! I think on my last visit to Bermuda I enjoyed a total of three or four meals from House of India. This included dining in and takeaway. I look forward to my next visit. An excellent place, friendly staff, reasonable prices and great food. Truly a treasure. I eat there on average once a week.